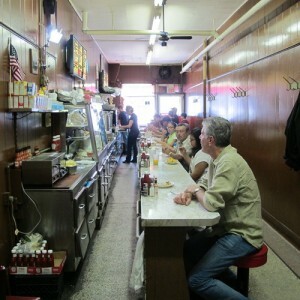 Anthony Bourdain at Duly’s in Detroit. Last weekend, CNN aired season two’s last episode of urban enthusiast and traveling-chef extraordinaire Anthony Bourdain’s Parts Unknown. And where was the final episode filmed? Detroit. This entry was posted in Beyond Levitt and tagged Adolph Mongo, ADULT., Anthony Bourdain, Carl Craig, CNN, Derrick May, Detroit, Duly's, Knight Foundation, Motown, Parts Unknown, Smokey Robinson, The Dirtbombs, The Supremes, The White Stripes on November 19, 2013 by Melissa Smith.